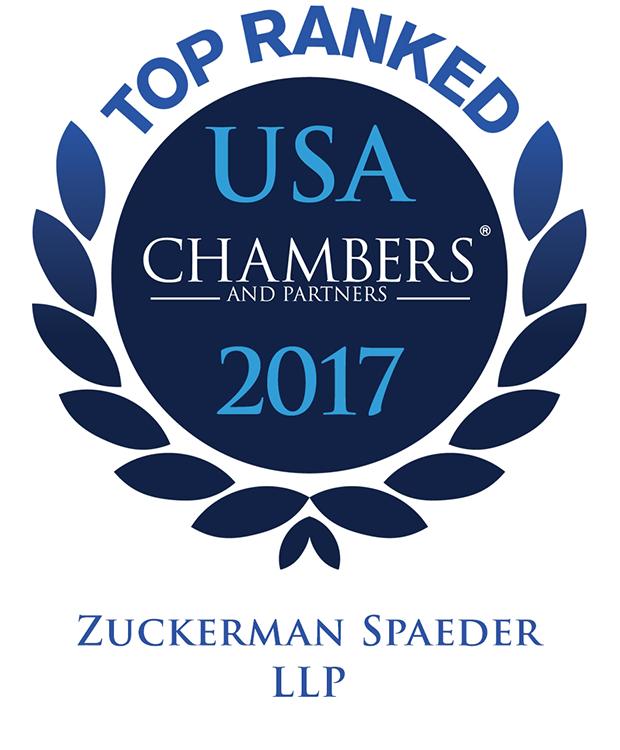 Chambers and Partners have recognized 13 Zuckerman Spaeder attorneys in the 2017 edition of Chambers USA: America’s Leading Lawyers for Business. In addition, the firm’s Washington, DC office was recognized in the General Commercial and White-Collar Crime and Government Investigations litigation categories; the Tampa office was recognized in the White-Collar Crime and Government Investigations category; and the Baltimore office was recognized in the General Commercial category. The 13 firm attorneys ranked in the 2017 edition of Chambers USA include lawyers in the firm’s Business Disputes, Financial Services, Tax Controversy, and White Collar and Investigations practices. Zuckerman Spaeder and its attorneys have regularly been featured in Chambers USA since 2004. Chambers USA conducts interviews and independent research to develop its lists of lawyers and law firms. For more information about Chambers USA: America’s Leading Lawyers for Business, please visit www.chambersandpartners.com.